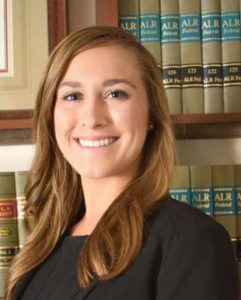 Glassman, Wyatt, Tuttle & Cox Welcomes New Attorney Kara Bidstrup - Glassman, Wyatt, Tuttle, and Cox, P. C.
Memphis, Tennessee Civil Litigation Boutique Firm Glassman, Wyatt, Tuttle & Cox welcomes Kara Bidstrup as an Associate Attorney. Kara graduated from the University of Memphis Cecil C. Humphreys School of Law. Throughout her law school career, Kara served as Judicial Law Clerk for the Honorable Rhynette Northcross Hurd of Shelby County Circuit Court and as a Judicial Intern for the Honorable Bernice Bouie Donald of the U.S. Court of Appeals for the Sixth Circuit. She was an Articles Editor of the University of Memphis Law Review Vol. 48 and a Student Ambassador of the University. 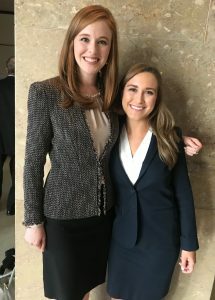 Additionally, Kara served as a Student Justice on the University of Memphis Honor Council, held leadership positions in the Association of Women Attorneys and the Public Action Law Society, and volunteered as an Assistant Prosecutor for the City of Germantown. 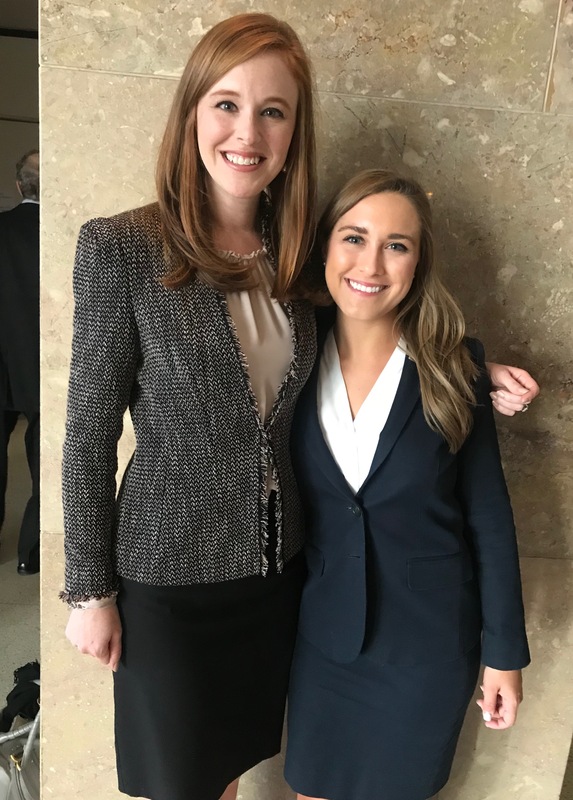 Kara is expected to assist the Firm with clients in a number of areas including Legal Malpractice Defense, Medical Malpractice and Real Estate Litigation. Bidstrup with firm attorney Lauran Stimac.